Test: Are You A Geek? Do you have a wifi-enabled, Roku-streaming 3D HDTV in every room, juggle a dozen smartphones of every kind and color plus five different-sized tablets, and, just for kicks, like to confuse people by speaking in binary? Or do you just hand all your electronics to your kids and ask them to make the dohickey work with the thingamajig? If you really want to know just where you fall on the geek scale, take the following quiz to find out. All you need is a pad and pencil or your stylus and Galaxy Note 2 to keep score. Choose the best answer that most applies to your life. 1. How do you most like to communicate with others? 2. Your DVR only has room for one more show and you can't delete any others. Which of the following do you choose to record? Can sing every song from Monty Python and the Holy Grail. Word for word. Without a mistake. Now that you're done, here's how you can score yourself. 4 points for every D.
Total that score. Then add up your points from Section 2 and Section 3. Now add all 3 sections together for your final score. The chart below will tell you how you rank amongst geeks! 0-5 Your modem still makes sounds when you dial-in to your AOL email account. 6-15 The only iPod you own doesn't have a touch screen. 16-30 You're an average geek who owns an Iron Man flash drive. 31-40 You wish they'd make wallpaper out of dry erase boards. 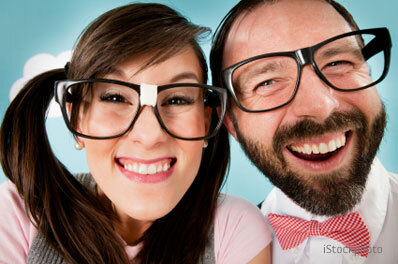 41+ You are King or Queen of the Geeks. All shall bow before your supreme knowledge of making computers talk to printers. How well did you score? Let us know in the comments! Watched the “IdeaPaint Goes to Brooks School” and would have LOVED that over 3 walls of my classroom back in the last century, and over any large tables I had. SO jealous ! I scored a 30. I don’t even consider myself a geek! But I quit counting after 42. I think I need to go do some actual “girl” stuff now. hmmmm now what do girls do? 41. I thought I was normal. Lower than I thought, but I wasn’t sure on some of the acronyms. Wow, you guys are a lot geekier than I thought! If you know more than 3 definitions for CRT, you should get am exits point for each one. Lol. I got a 39. Wow I got a 35! Do I get bonus points for going through 3 pens to find one that worked? Ok, it took me a while to go through this because I couldn’t find a writing implement that worked…(and yes, I scored over 40 points). I blew out the limit and wondered how I get points for actually having a Commadore 64 that I am in the process of modifying with a Raspberry Pi. Geek girls rule. Wish I had those dry erase walls…. Do I get extra points for the Atari and Commodore 64 up in the attic that I can’t bear to part with? I’ve always considered myself a nerd rather than a geek. Guess I’m both. As for the question about what show to record in the last slot on the DVR—who cares? I can stream anything I want online. Average Geeks. We are not average! My 11 year old and I took the quiz together and we both scored 27! LOL But, we got points on different questions. I prefer the term “typical” to average, thank you very much! I’m a geek! My wife could have already told you that. Anyone that would fly to Australia to see Star Trek is a nerd for sure. Thanks for making up this quiz. I got a 50. You are a geek! Looks like you’re in the lead! Only a 37. I am saddened. I'm 72 y/o and got a 43! Now I see what my wife means when she says I need to do more around the house and to get out more. I forgotten I had this in my email and meant to take the test…Not as geeky as I thought, but I did score a 28. Every single acronym known, many used, all explained. In English. I am UberGeek. Shower me with bitcoins! that would be a score of 35 holding down shift.